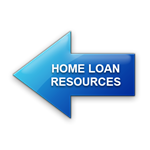 ​​This page was created to give you answers to common home loan questions we receive. Simply click on the question and you'll be taken to a separate page with the answer. Contact us if we can help clarify anything! What happens if I receive a Loan Servicing Change Notice? What are Escrow Accounts and Annual Escrow Disclosure Statements? ​Is it a good idea to have an impound account?